Ithaca College has a strong alumni presence within the athletic department, including having five alumni who are current varsity coaches. 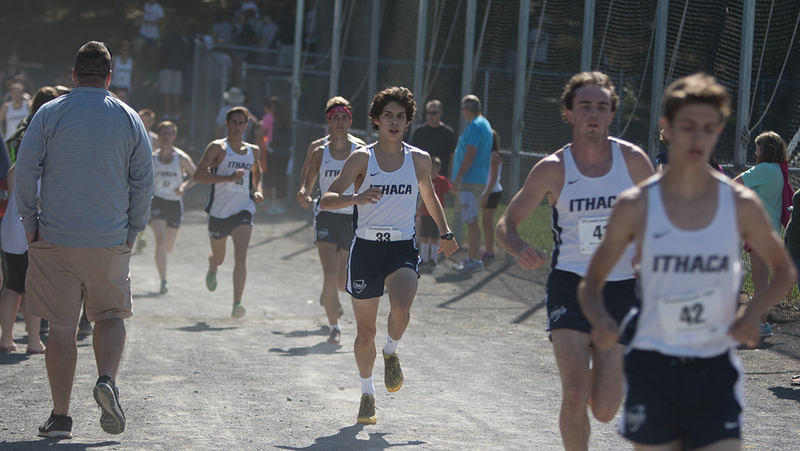 The Ithaca College men’s track and field team is looking to key returning players to bolster the team this season. The men’s cross-country team is looking to win their first Liberty League title after finishing fourth in 2017. After becoming frustrated with the Eastern College Athletic Conference, a group for coaches from 31 colleges created the All-Atlantic Conference. The men’s track and field team wants to continue the same success they had in the Empire 8 in the Liberty League Conference. Junior Dan Hart and senior captain Eric Melcer work together and hold leadership positions on the men’s cross-country team. Freshman Robert Greenwald balances practices for both the junior varsity football team and the varsity men’s track and field team. The Ithaca College track and field teams competed at the Greg Page Relays held in the Glazer Arena on Dec. 3. After much success last season, the Ithaca College men’s indoor track and field team is back on the track preparing for the upcoming season. Senior Chris Gutierrez is working smarter, not harder during his final season on the men’s cross-country team.